Decorative paper punches are an easy way to jazz up your wedding invitations, and even a simple circle punch can be used to add some fun! There are plenty of circle paper punches to choose from, available in lots of different sizes. EK Success and Fiskars are good brands to try and are readily available in craft and art shops or online. 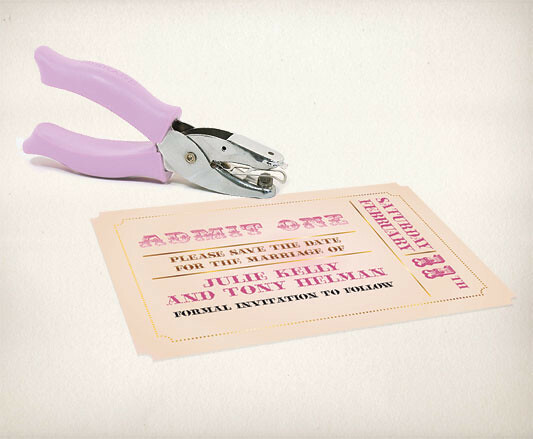 Above we have used a Fiskars squeeze punch to cut out a semi circle at the top and bottom of this invitation. 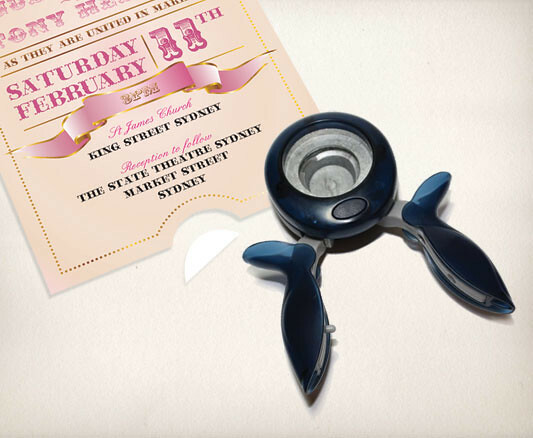 Here we have used a Fiskars handpunch to make small circles indents on the corners of this save the date - it's a nice quick way to help create that retro ticket effect. So pack your circle punches and have a go a some of these little tricks!